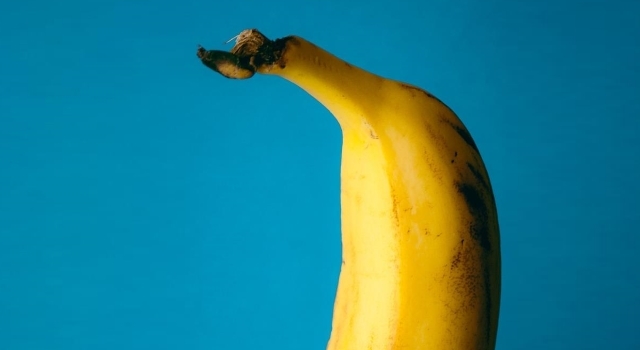 Putting a banana in your ear may sound silly, but is it really? Is it really and truly something that you shouldn’t do, or is it just something you’ve never explored before? Did your parents tell you not to stick a banana in your ear because it wasn’t socially acceptable? Since when did they determine what was socially acceptable or not! It’s your ear, and you make the rules. Here are seven reasons why it’s okay, nay, necessary to stick a banana in your ear. Do you think your ear doesn’t need a little companionship? If you think it doesn’t, then you’re just flat out wrong and you should really reconsider how you see your life. A banana gives your ear someone to chat with throughout the day so it doesn’t get so bored. It will also teach your ear about the color yellow. Trends come and go, but a banana in your ear is a fashion statement for all seasons and occasions. Picture your wedding dress with this beautiful accessory, or the look of joy on a date’s face when they see you sporting this classic style. Think about when you hold a shell up to your ear. You hear the waves of the ocean crashing up against the shore loud and clear, don’t you? Bananas grow on trees (they’re technically plants, but they’re tall plants, okay?). Of course, when you put a banana in your ear, you’ll hear the faint sounds of wind rustling through the leaves, stalks shooting up toward the sky, and the soft mewl of growing bananas. It’s a beautiful sound to have in your head all day, rather than the incessant sounds of people voicing their opinions about your life choices. Potassium is really healthy, and it can help your whole body — including your ear! Start incorporating better habits by sticking a banana in your ear. If anyone tries to tell you that’s not how your body absorbs nutrition, you won’t be able to hear them because you have a banana in your ear. Let’s say you’re out with a friend and they’re pretty hungry. “A banana would really hit the spot right now,” they say wistfully. Well, isn’t that just the most perfect thing they could possibly say? Whip it out and hand it over, and do your part to fight malnourishment. Your eardrums are pretty important, but they can be subjected to all kinds of threats throughout the day. Flying squirrels could knock into your ear and damage your drum. You don’t need that kind of trauma in your life. A banana in your ear provides the barrier from flying squirrels you need to keep your hearing intact. That’s right, bananas bring excellent luck when they’re in your ear. If you were wondering how you were ever going to win the lottery or find the love of your life, then maybe you just need the yellow fruit in your ear to give you a little boost. Something about the shape helps your brain make the right decisions. Previous articleWhat’s In Your Pockets Right Now? Next articleWhat’s The Best Food To Make On A Backyard Grill?